Have you heard about telomeres? At the end of your chromosomes or DNA strands, you have protective caps called telomeres (imagine the little caps at the end of your shoelaces). The length of your telomeres can tell you either how quickly or how slowly you are aging. Telomeres also shed light on the strength of your immune system. Their length indicates your risk of death and disease, including heart disease and cancer. Having short telomeres even points to higher risk of dementia. In people who are older than 60 researchers have shown that those with shorter telomeres are eight times more likely to die from infectious diseases and three times more likely to die from heart disease. Although all telomeres shorten with age, an unhealthy lifestyle is linked to significantly greater telomere shortening. 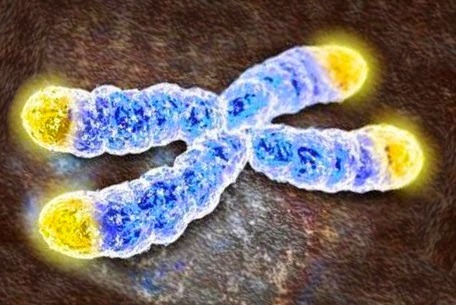 Researchers studying telomeres believe that lifespan may be increased by as much as five to ten years by changing habits that impact telomere length. Here are the most important choices you can make to protect your telomeres. Knock out inflammation, and eat an antioxidant rich diet. Chronic inflammation and oxidative stress caused by free radicals sabotage health, longevity and telomere length. Eating foods that contain lots of antioxidants and anti-inflammatory compounds helps prevent this double whammy of damage. Be sure your diet includes abundant colorful fruits and vegetables like berries, cherries, pomegranates, beets, oranges, and apples. And load up on dark green vegetables like collard greens and kale. Choose daily servings of orange veggies like carrots and sweet potato. And enjoy nuts, seeds, beans, fatty fish (salmon, rainbow trout, sardines), herbs, spices, 100% whole grains. Drink green or black tea and cook at low temperatures with extra virgin olive oil. In terms of supplements, research suggests that vitamin D may improve telomere maintenance. Know your vitamin D levels by getting them checked at your annual check up. In the Sister Study, a daily multivitamin was also linked to longer telomeres in women. And of course if you don’t eat fatty fish at least twice a week, you should take a daily fish oil capsule. In the Heart And Soul study at the University of California, San Francisco involving over 600 outpatients with stable heart disease, individuals with the lowest intakes of marine source omega-3 fats experienced the most rapid rate of telomere shortening, whereas those with the highest intakes experienced the slowest rate of telomere shortening. Be sure you get at least 1000 mg daily of the EPA and DHA from cold water fish. And be sure the supplement you choose is tested and found to be free of harmful levels of compounds like mercury, lead, cadmium and PCBs. My fish oil brand is Carlson Laboratories. Disclosure: I am their Senior Nutritionist and Educator. The folks at Carlson are seriously nice people, lucky me. Eliminate added sugar, white bread, unhealthy fats and processed meat. Some foods slow the aging process, others put aging on the fast track. Sugar, refined carbohydrates including white bread cakes cookies and crackers, unhealthy fats particularly trans fats and high omega-6 vegetable oils and processed meats are the most harmful. Based on data from the U.S. National Health and Nutrition Examination Survey involving over 5300 adults, drinking one sugar- sweetened soft drink daily accelerated aging as much as smoking. In a study of children and teens in Spain, white bread was the worst habit. In a study in Finland, involving almost 2000 elderly men and women, a high intake of saturated fat was linked to shorter telomeres. Do whatever you must to stay at a healthy weight for your height. At St. Thomas Hospital in the UK, obese women had telomeres that were significantly shorter than in lean women of the same age. This was not surprising. Fat cells are biologically active, and not in a good way. Fat secretes hormones that increase inflammation in the body and cause oxidative stress. ( Oh those two again!) Thus telomeres shorten, aging hits the gas pedal, and lifespans are shortened. Eat whole foods, be more active and work to reduce stress to keep your weight within a healthy range. At the risk of being redundant. Stay active and reduce sitting time. Moving your body several times everyday provides phenomenal health benefits, not the least of which is slamming the brakes on aging considerably. Daily activity boosts your resistance to infections, guards against chronic inflammation and helps to combat stress. You’ll get slim and you’ll be protecting the length of those all important telomeres. In one study that followed 2,400 twins, being regularly active during leisure time meant significantly longer telomeres (about 10 years younger biologically) compared to persons who were inactive. Watch your alcohol and never smoke cigarettes. If you smoke now is the time to quit. Have you ever looked at people who smoke regularly or who drink excessively? They do not paint a pretty picture. They always look older than they should for their age. Heavy drinking and smoking ages you at a cellular level. The American Association for Cancer Research reported that telomere length was dramatically shorter (about half as long) in those who consumed heavy amounts of alcohol compared to those who did not. In a study reported in the UK, telomere shortening caused by smoking one pack of cigarettes a day for 40 years was equivalent to the loss of almost 71⁄2 years of life. Bottom line: don’t smoke and if you drink, do so only in moderation (one drink daily for women and two for men). Defend your quality of sleep vigorously. Getting enough sleep (7 hours or more) and getting good quality sleep are both linked to longer telomeres. The older you are, the more significant this relationship is. Proper sleep helps repair telomeres and protects against damage caused by inflammation. Lack of sleep increases inflammation in the body significantly. Zen extends life. If you’re chronically stressed out, anxious, lonely or depressed, your telomeres are probably shorter. If you have recently suffered a great loss, you’re also at risk. Stress hormones, like cortisol, make you gain weight around the middle, think belly fat. The hormone also damages cells and hastens aging. In a study involving healthy premenopausal women, those with the highest levels of perceived stress had telomeres shorter on average by the equivalent of at least 10 years of additional aging compared to low stress women. In a demonstration of all of the points made here today, a UC study found that telomere shortening was less pronounced in high stress women if they exercised, ate well and got enough sleep. Good self-care must be a priority. There is also good news for meditators. 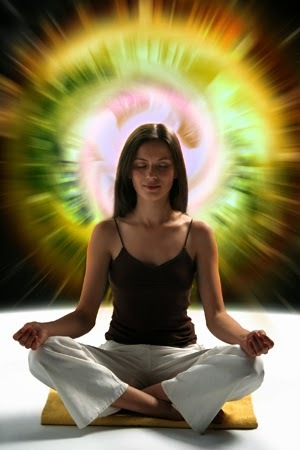 Meditation also benefits telomere health. Om.